But what about other folks on the islands ? Well best not to stay out too late on what they like to call up here 'Devilment Night' !! 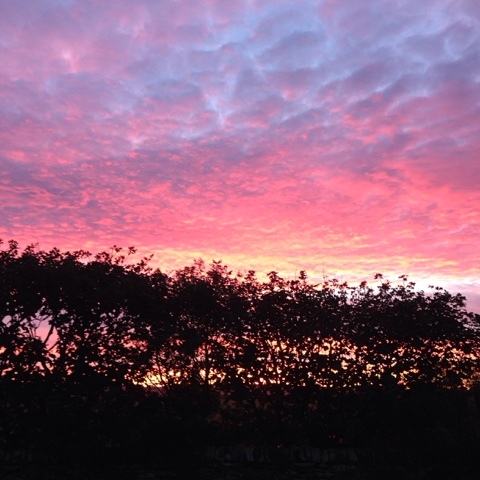 A couple of years ago mum and I travelled back late from a Samhain gathering from the other end of the island. Thinking we had managed to avoid the worst of the evenings tricksters we had almost arrived back, only a couple of miles away, but as we turned onto the last back road there it was......a fence of clingfilm stretched across the road wrapped around the signposts on either side. 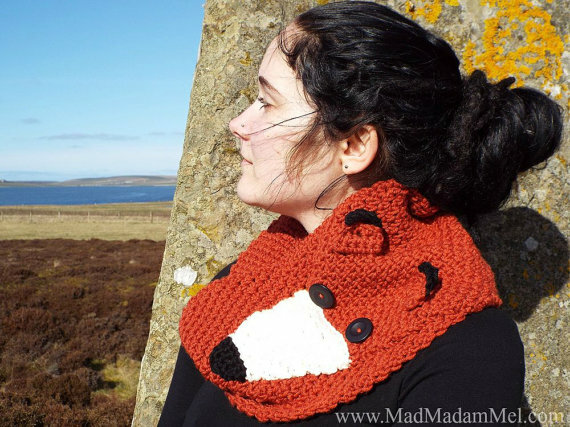 Yes Devilment night on Orkney is seen by many as a night to indulge in major mischief by both the younguns and adults alike. Where most tricks are fairly harmless if messy affairs, it is the brave soul who has to venture out early on the morn of November 1st to go to work, for there is a fair chance there will have been someone who has manoeuvred huge round hay bales into the middle of the road !! There are tales that have almost become urban myths, of the picnic benches found on top of telephone boxes and boats found in very odd places. A couple of years ago, wheelie bins from all over west mainland had been 're-located' to a farm in Sandwick overnight. Now that would have been a surprise the next morning to whomever came across all of those!! So if you do venture out late this Halloween night and you live out in the wild places, keep your wits about you !!! 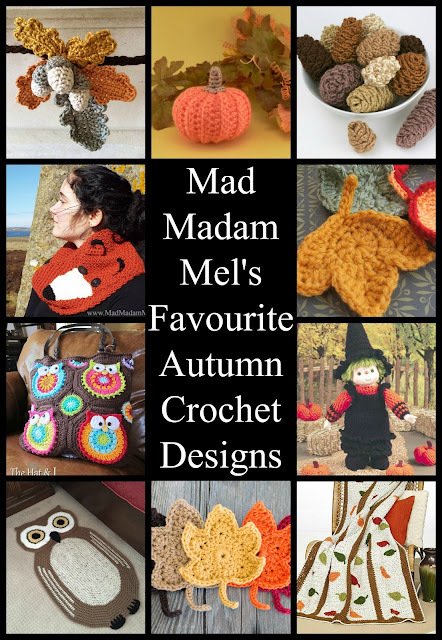 We are already more than half way through this autumn, but it is not too late to fit in some more Autumn crochet projects before the Winter season is upon us, in fact there is no reason why you couldn't make any of these as gifts too. 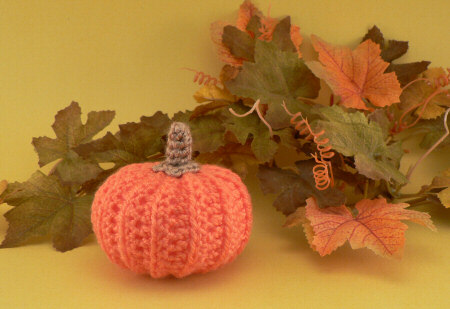 We start off with a fab pattern for little mini pumpkins. 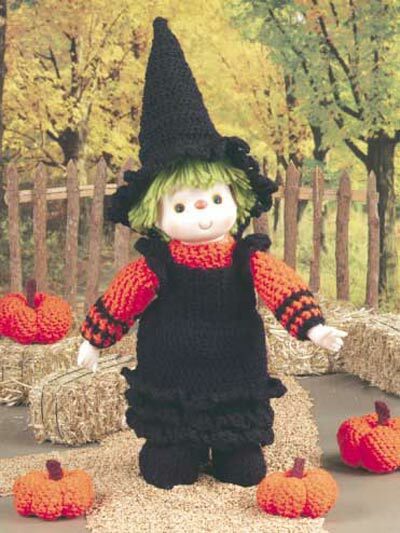 I've been meaning to make this cute little Halloween witch for a couple of years now. 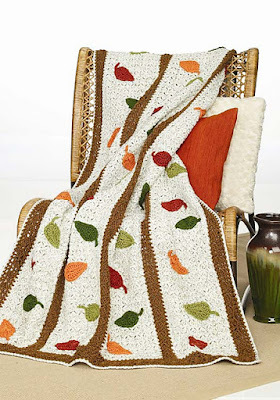 You can never have too many blankets in Autumn for snuggling under with hot chocolate and a book. 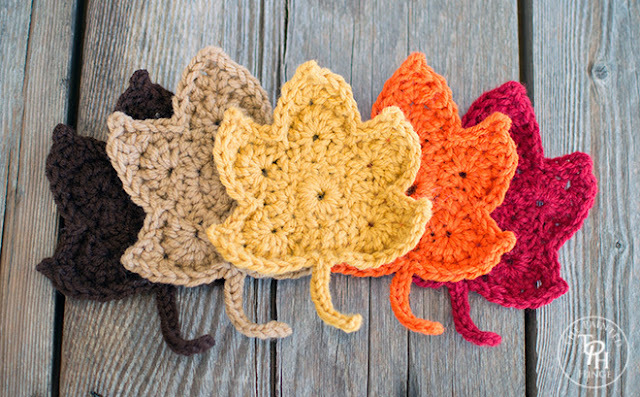 Pretty maple leaves could be sewn onto a slouchy hat or child's bonnet perhaps? 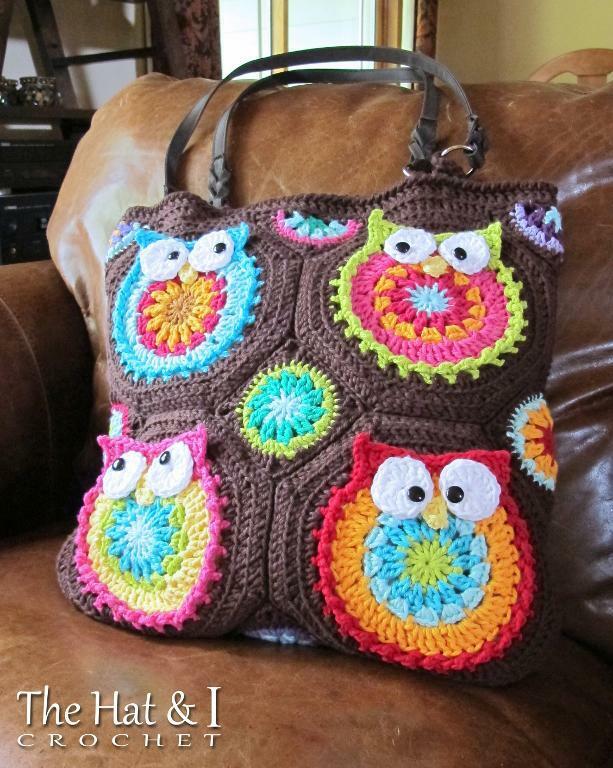 Although I'm not one for rainbow crochet, I think it works well with a neutral background like this. Little mini Autumn leaves could be made into a garland, or hung from twigs in a vase. 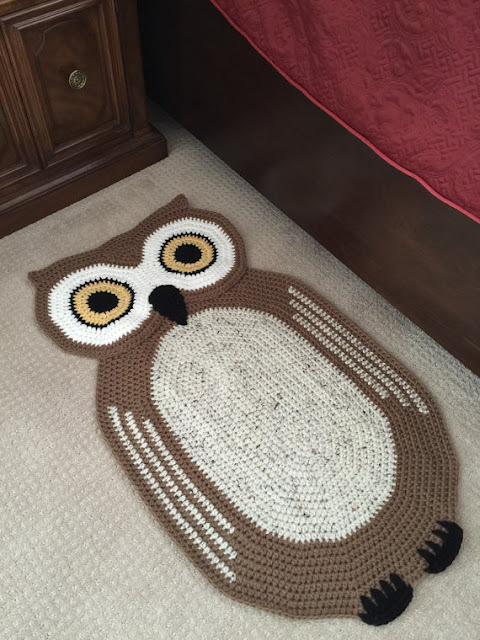 If this owl rug was made with cotton yarn it would make a fab bath mat. 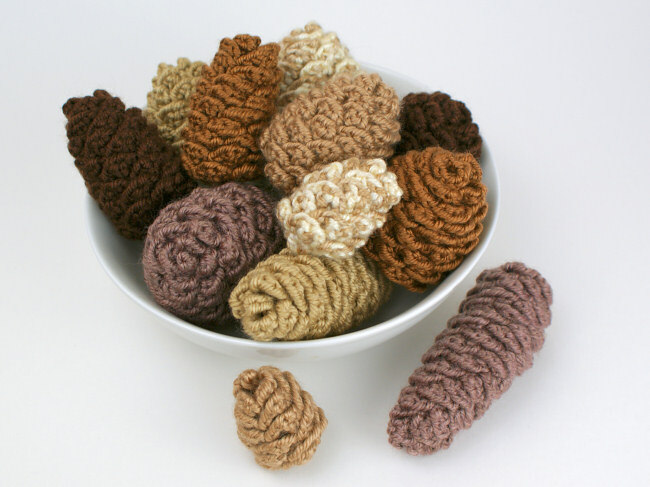 I really like these fir cones, will certainly be making some of these for myself. And these oak and acorn sprigs are another project I definitely want to make for my autumn display. 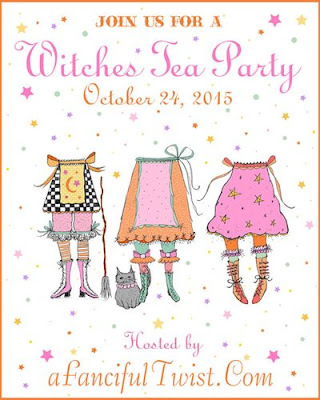 Come on in and welcome to my 2015 Halloween Witches Tea Party, although perhaps we should call it a wine and cake party instead if that's your thing!! 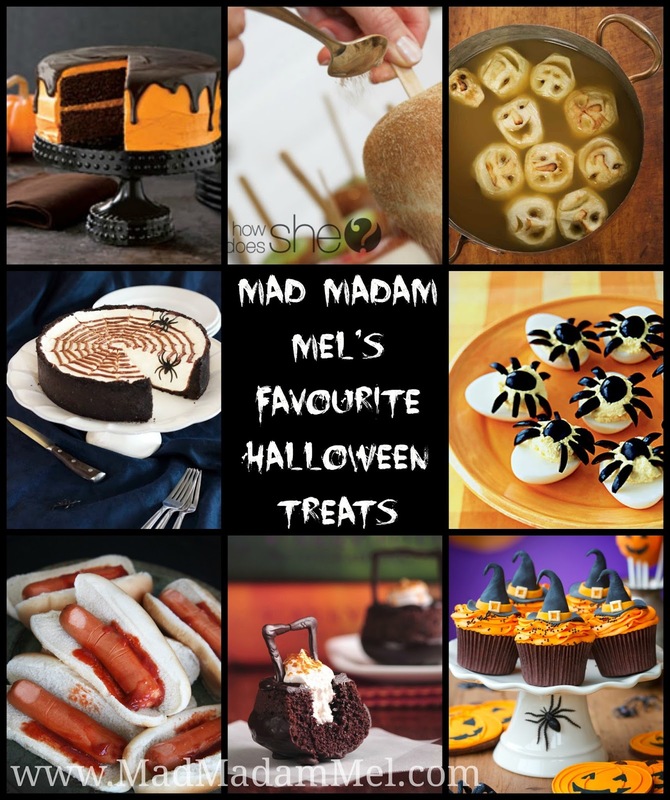 sweet and savoury treats for all tastes catered for. So light the candles, pour the wine and make yourself comfortable. How about we start with some cake, everybody loves cake, especially chocolate cake. Or perhaps cupcakes are more appealing? Whoops!! Watch out for the residents!! They do keep the flies away though. Why didn't you say you had more of a savoury tooth? Here, have a spicy devilled eyeball, but watch out they pack a punch!! Oh dear is it time to go already? Well be sure to take a dead gingerbread man home in your goodie bag wont you? 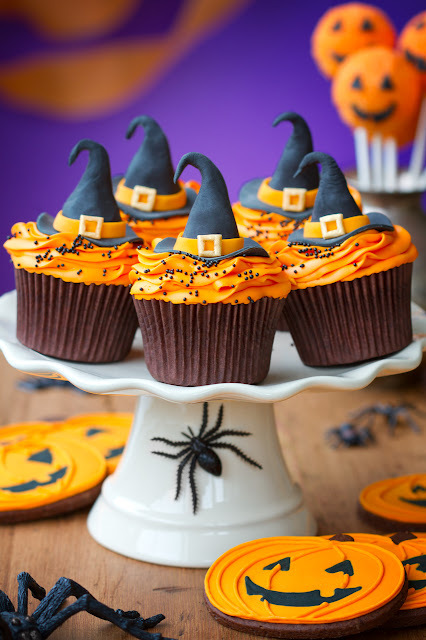 Much of today I'm going to be cooking up a storm making some of the goodies for the Halloween Witches tea party taking place this weekend, so whilst I wittle down the options of the treats to do I wanted to show some of my favourite recipe ideas my Autumn/Halloween Food Pinterest board. 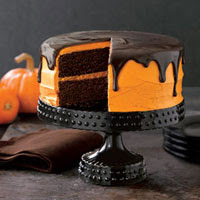 First up is a fab layered pumpkin cake which John has specially requested I make this year, so I can add that onto today's to-do list. 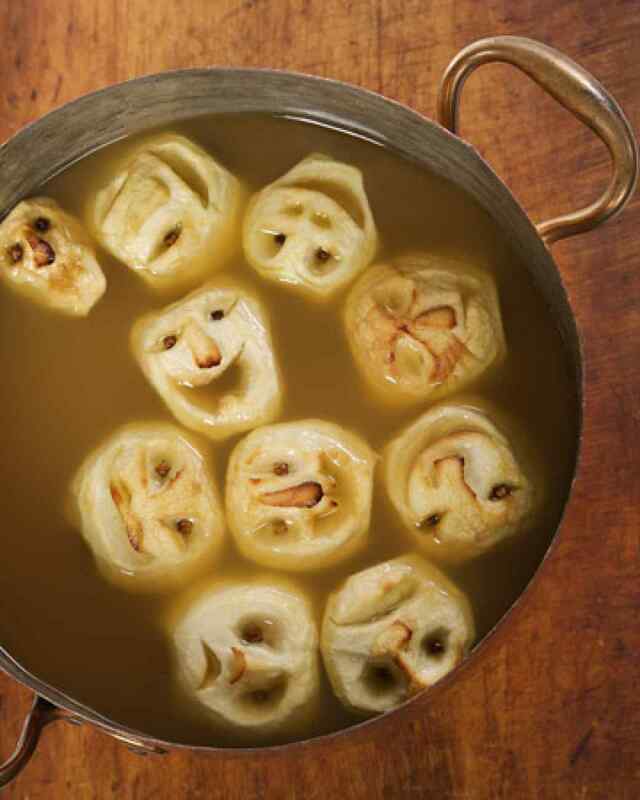 This recipe for shrunken heads in cider punch has been on my pin board for ages, next year we would love to host a halloween party so maybe a time to try this out. 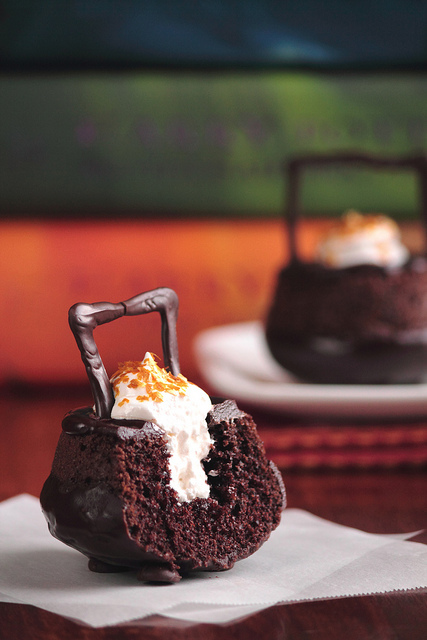 Or maybe flip them over and make Cauldron cakes? Now that's tempting ! Now here is a recipe I have tried and they are good, the only change I made was switching out the corn syrup for golden syrup as that is what we can get in the UK. 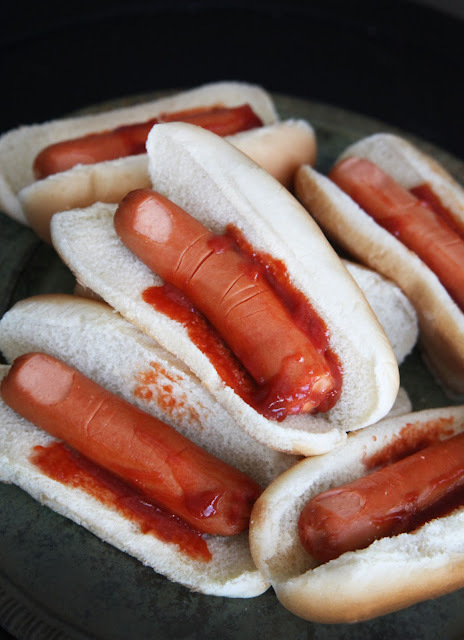 Now these are seriously easy but seriously look fab yet gross too !!! 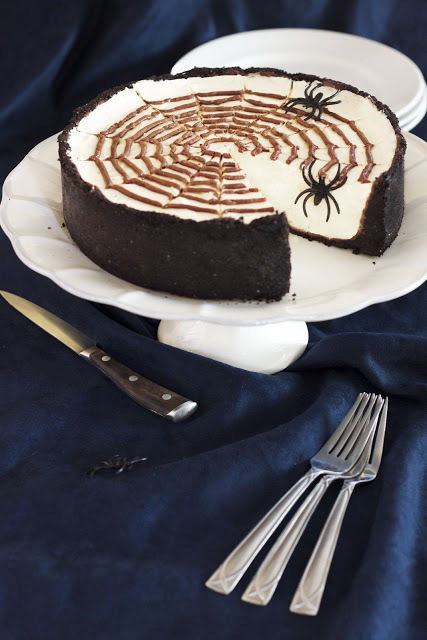 I had planned on making cheesecake, so this would be a good option. 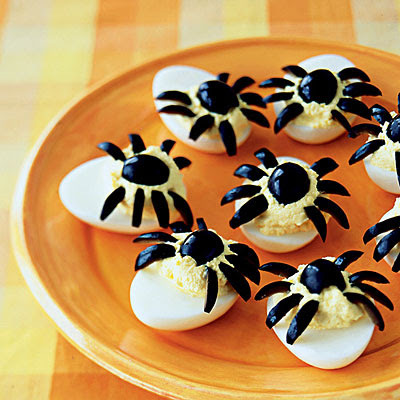 So does anyone else have some fab halloween food ideas I can try this year? Announcing that I will once again be taking part in this years' Halloween blog party hosted by the lovely Vanessa over at A Fanciful Twist, it has been a while since I last took part, three years already !! 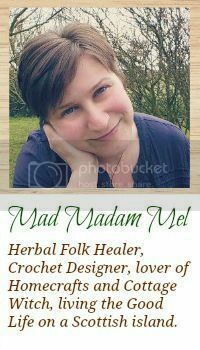 A good excuse for a bit of fun and cake I think :) So you are all welcome to join me here in my corner of the web on October 24th, hope to see you then?? I think I have spent most of the past couple of weeks just playing catch-up around here, and still there are things to do, it always seems to be really hectic this time of year. There has been young pullets to introduce to the flock, and frantically trying to source winter bedding on an island with a very bad hay and barley crop this year. Planting autumn garlic (a first for us this) rather than our usual planting in the spring in the hopes of getting a better crop, on top of the usual harvesting and garden winter preps. 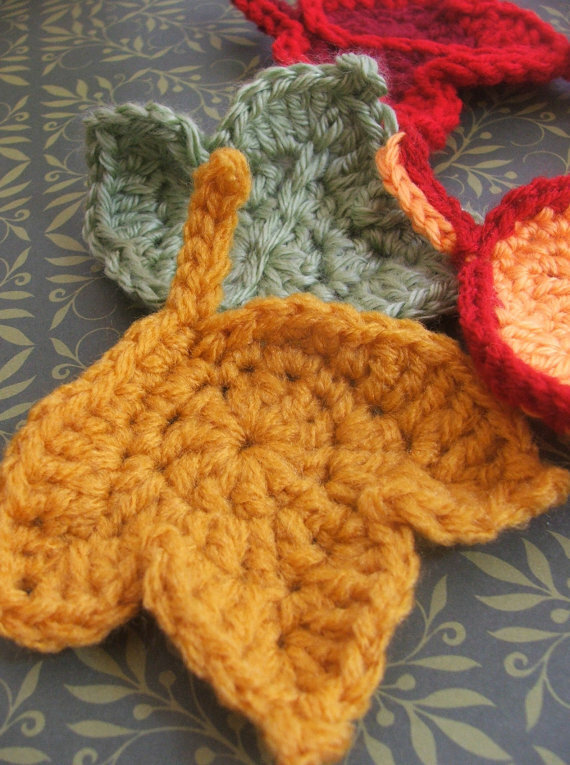 There has been the baking and putting away of Christmas cakes, and the starting of gift making to try and get ahead. 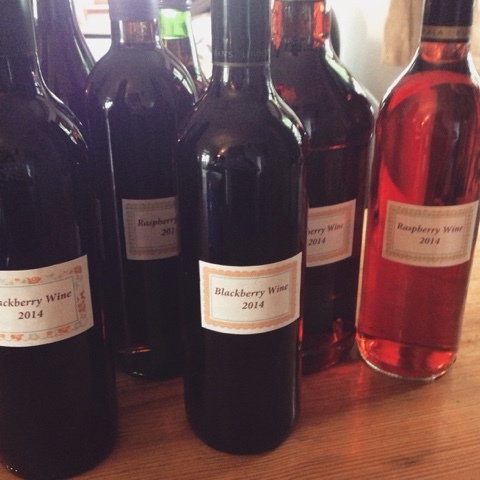 And if I'm not picking blackberries ready for making wine, then I am bottling the result of last years harvest, not that I'm complaining, I do LOVE our blackberry wine. So we keep on trucking, so that in a few weeks time we can look back and say "we did this and did that this year" with a feeling of satisfaction. 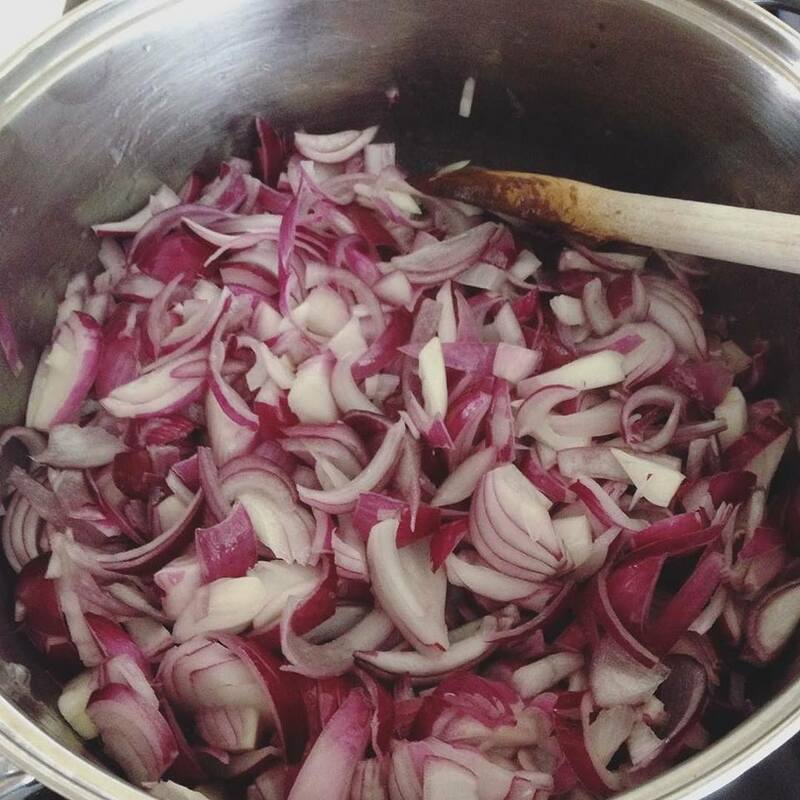 Just a quick pop in whilst I remember to share my favourite recipe for using up onions at harvest time or when they are on offer to buy. 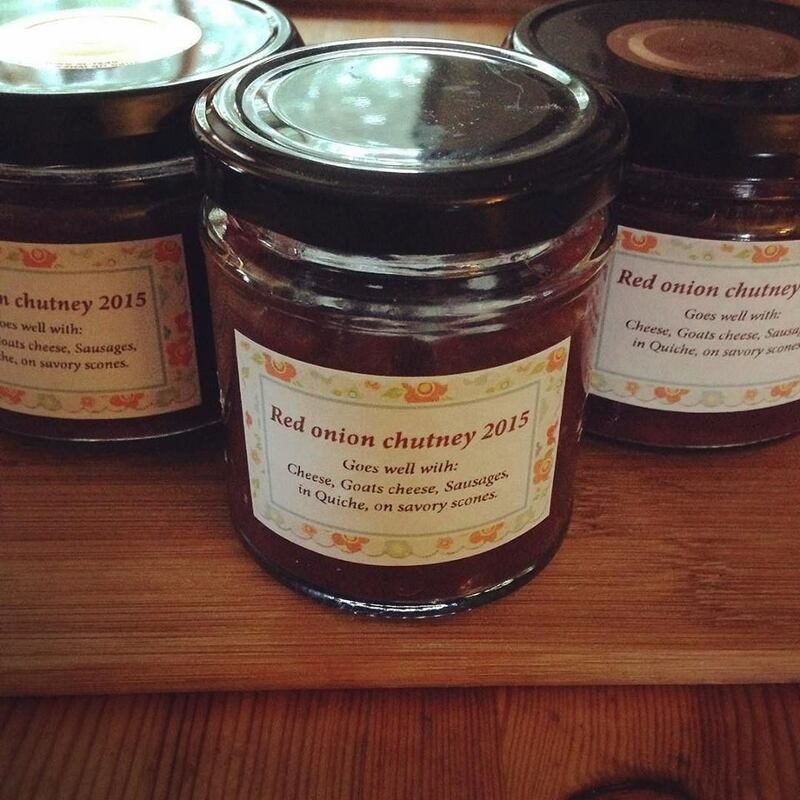 I have been using this recipe from the Rivercottage preserves book for years now and you just cant beat it. It can be used for both red and white onions, although I admit I have only used it for red as I use my white onions too quickly to need to preserve them. I made a couple of adjustments to the recipe this time, which is not unusual for me, I just used a good glug of olive oil rather than 100ml, and as I didn't have any redcurrant jelly I used some cranberry I had in the cupboard. Heat the oil in a large pan over a medium heat and add the onions. Reduce the heat cover the pan and cook over a low heat stirring occasionally, for 30-40 minutes until the onions are collapsed and starting to colour. 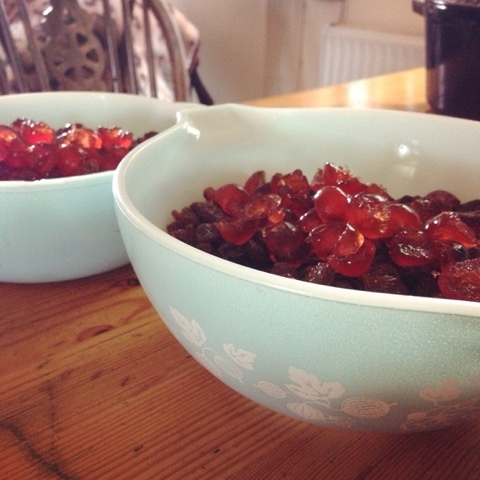 Add the sugar and redcurrant jelly. Increase the heat and continue to cook, stirring more frequently, for about 30 minutes until the mixture turns a dark, nutty brown and most of the moisture has been driven off. Take off the heat and allow to cool for a couple of minutes before adding the vinegars to avoid them evaporating. Return to the heat and cook rapidly for another 10 minutes or so, until the mixture becomes gooey and a spoon drawn across the bottom of the pan leaves a clear track across the base for a couple of seconds. Remove from the heat and season with salt and pepper. 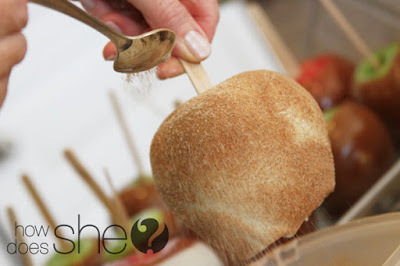 Spoon into warm, sterilised jars and seal with vinegar proof lids.